Synopsis: Hercule Poirot dreads going to the dentist but bravely sits through his appointment with Dr. Henry Morley before vowing not to return for another 6 months. When Morley is found dead of a gunshot wound a couple hours later, Chief Inspector Japp is quick to rule it a suicide. And, when one of Morley's other patients dies of an apparent anesthetic overdose, it only strengthens that theory. 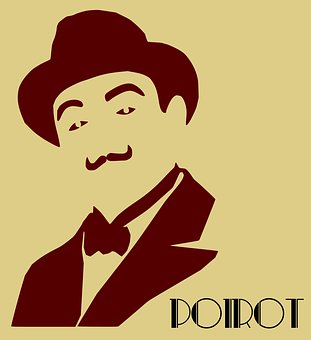 Poirot, however, isn't convinced. And, when a second dentist patient, Mabelle Sainsbury Seale, disappears, he is convinced the death is a homicide and is possibly part of a larger conspiracy against prominent banker Alistair Blunt. Review: Our local library didn't carry this Agatha Christie book and I wound up getting it on Kindle instead. Since I had to pay for it, I was somewhat concerned I wouldn't like it. But, as it turns out, it was a pretty decent mystery. One of my biggest concerns about this book, when I started reading it, was it was going to go down a path similar to The Big Four with Poirot being involved in a spy-novel-like conspiracy with an obvious bad guy and very little mystery. However, even though the book did hint at a larger conspiracy, especially with banker Alistair Blunt, Christie did allow her detective to focus on the specific crime (the murder of his dentist) and the connection between that and the other murders that happen later in the story. As a result, even though there was a bit of a spy-like feel to this story, I still enjoyed it because there was still a mystery that needed to be solved. Another thing I liked about this book was Morley's killer wasn't as easy to identify as I thought he (or she) would be. This is because there were a number of different scenarios ranging from Morley's assistant's fiance killing him (for encouraging her not to get married) to Morley being an unfortunate casualty in a plot to kill Blunt. Plus, while I trusted Poirot's instincts (he is, after all, the star of the book), Japp's theory about Morley killing himself after accidentally (or possibly purposely) giving his patient an overdose was plausible. As a result of this, while I was able to correctly guess the killer, I still had quite a few doubts, especially when I couldn't figure out how that person pulled it off. One other thing I found I enjoyed about this book was the way it managed to show the reader a little more of an inner glimpse of Poirot than some earlier novels. Watching as he doubted himself and, at one point, even consider letting the wrong man hang just because he didn't like the guy, gave him a little more of a human side and made him a lot more enjoyable to read about. I really hope to see more of that as I read some of his other novels. Final Opinion: This book definitely exceeded my expectations and was enjoyable to read from beginning to end. I would recommend it as a result.